U.S. Sen. John Thune (R-S.D. 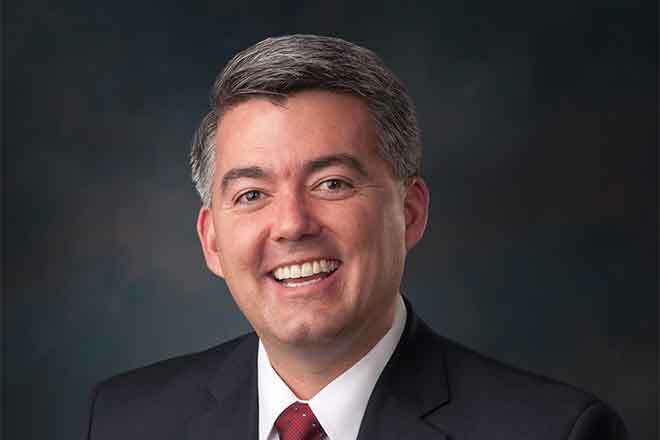 ), chairman of the Senate Committee on Commerce, Science, and Transportation, and Sen. Cory Gardner (R-Colo.) sent a letter to Federal Communications Commission (FCC) Chairman Tom Wheeler and Chris Henderson, chief executive officer of the Universal Service Administration Company (USAC), which administers the Rural Health Care telecommunications program. "[W]e wish to express our concern that rate-payer dollars dedicated to programs under USAC's stewardship, such as the Rural Health Care (RHC) program, are going toward unnecessary or excessive consulting fees rather than their intended purpose - helping rural health care providers gain access to essential telecommunications and broadband services (...) We strongly support the goals of the RHC program, but we are concerned that an unreasonable portion of RHC funds may be going to so-called 'application mills' rather than toward funding the broadband services for rural hospitals and clinics as intended." 1) Does the FCC or USAC monitor the percentage of funding awarded under the RHC program that beneficiaries pay to consultants? If so, please provide the percentage of funding and the corresponding dollar amounts that consultants received for each of fiscal years 2006 through 2015.
a. If the FCC or USAC does not monitor the amounts paid to consultants under the RHC program, please explain why not. b. If the FCC or USAC does not monitor the amounts paid to consultants under the RHC program, do you think it is in the public interest and spirit of the USF to monitor the amounts paid to consultants in order to ensure the funding recipients receive the intended benefit of the program? 2) Do FCC rules prohibit the expenditure of USF funds on consulting fees or similar expenses? Is there a cap for such fees and expenses? If not, why not? 3) Do excessive consulting fees fall under the FCC's reporting requirements under the Improper Payments Elimination and Recovery Improvement Act? If not, how do you determine whether an excessive consultant fee does or does not constitute an improper payment? 4) Do consulting contracts with USF beneficiaries typically have auto-renewal provisions? If so, provide an example of a typical auto-renewal provision, including the amount of time before the end of a contract within which the USF beneficiary would be required to affirmatively terminate the contract to preclude auto-renewal. 5) According to a recent USAC filing, the USAC Internal Controls Team will complete testing of the internal controls surrounding the HCF in the second quarter of 2016. Do these reviews of internal controls examine the payments from HCF made to consultants? If not, please explain why not. 6) According to a recent USAC filing, USAC has planned 31 audits of the RHC program for fiscal years 2014 and 2015, and the USAC Board has approved 21. Do any of the 31 planned audits probe the amounts of money beneficiaries of the RHC program paid out to consultants? If not, explain why not. a. Provide a narrative explanation for each of USAC's 31 planned audits of the RHC program. b. Why has the USAC Board not approved 10 of USAC's planned audits of the RHC program? Please identify the 10 audits not approved by the USAC Board, and provide an explanation for why each audit was not approved by the USAC Board. 7) Does the FCC or USAC monitor the percentage of funding awarded under the E-rate program that beneficiaries pay to consultants? If so, please provide the percentage of funding and the corresponding dollar amounts that consultants received for each of fiscal years 2006 through 2015. If FCC or USAC does not monitor the amounts paid to consultants under the E-rate program, please explain why not. 8) According to a recent USAC filing, USAC has planned 145 audits of the E-rate program for fiscal years 2014 and 2015, and the USAC Board has approved 63. Do any of the 145 planned audits probe the amounts of money beneficiaries of the E-rate program paid out to consultants? If not, explain why not. a. Provide a narrative explanation for each of USAC's 145 planned audits of the E-rate program. b. Why has the USAC Board not approved 82 of USAC's planned audits of E-rate? Please identify the 82 audits not approved by the USAC Board, and provide an explanation for why each audit was not approved by the USAC Board.